It’s Bounce! Tap to switch gravity, and dodge the oncoming missiles! How long can you last before being hit? Bounce is at nearly 200 votes on Khan Academy. 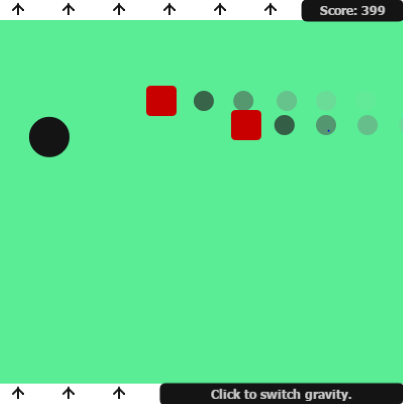 The one-button controls worked so well that many players pushed for the game to be released as an app on mobile devices. It’s embedded for you to try.